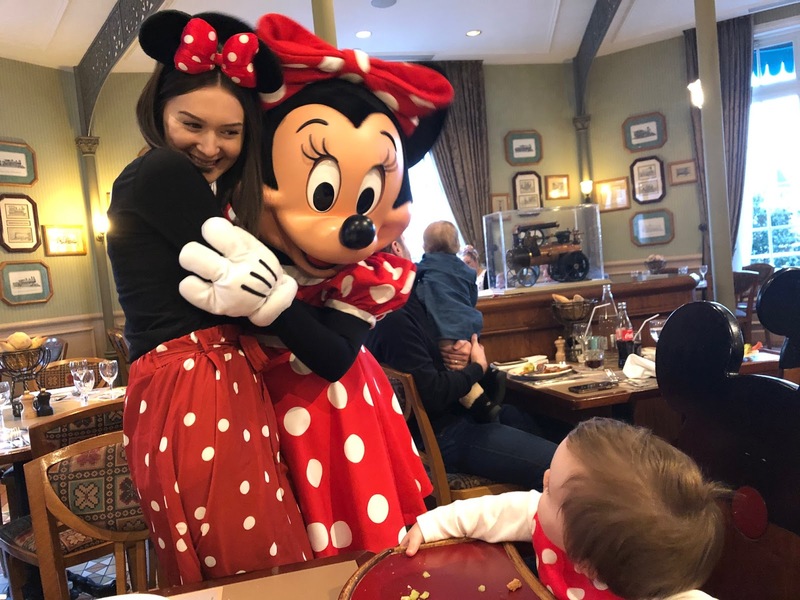 Have you ever thought of booking a trip to Disneyland Paris, with your family, but wondering what you and your family will be able to do there? It's no secret that a holiday to any Disney resort, will stretch the bank. It's not the cheapest of holiday destinations, but it is always well worth the spending. However, I often was asked when we mentioned about booking for Edith's 1st birthday - what will you be able to do with her being so young? Isn't it a waste of money? Now, Disney is a very inclusive holiday destination. There is something for everyone to do at Disney, which is what I love so much about visiting. I have visited with young children, children with Autism, my one year old, pregnant, and just as a couple. I can't say that I've ever been at a loss for something to do. So, I thought I'd write a post about all of the things that you can do with a one year old at Disneyland Paris. 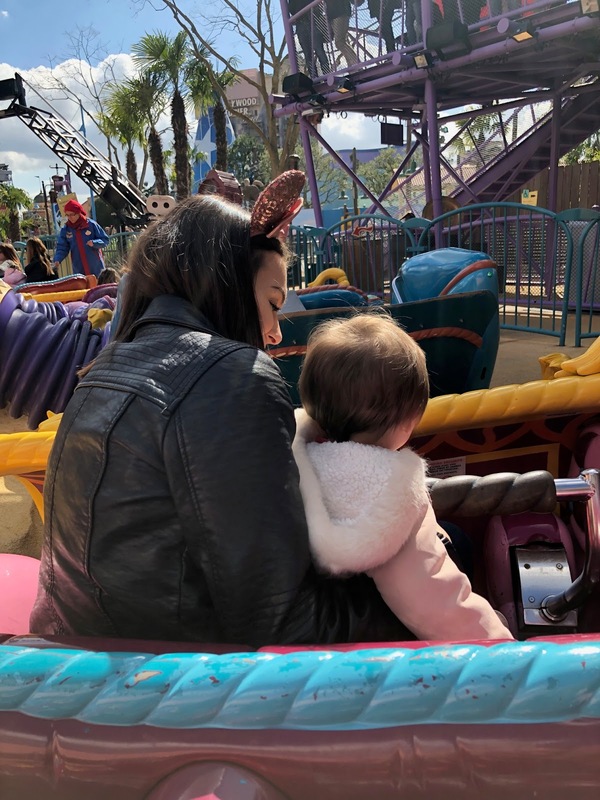 There are so many family friendly rides at Disneyland Paris. I visited the parks when I was 28 weeks pregnant, and so I thought my options would be limited. Of course, they were limited but there were still so many that I could go on. It turns out that there are so many more to enjoy once that little person is actually a person. 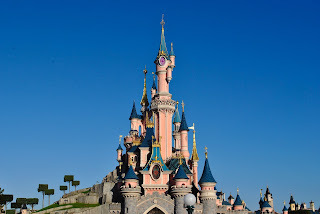 I've written a list of some of the pre-school age appropriate rides at Disneyland Paris. Note that this is just what I would think suitable for Edith, however it is down to the individual parent to decide for their own child. When you're at Disneyland, you're immersed into the Disney world, where fantasy becomes real life. I think that's the true magic of Disney. So, their shows and parades are not to be missed! There really is nothing like a Disney parade anywhere. Depending on the time of year that you visit (it's always best to check the Disneyland Paris website first! ), will depend on what shows are available and what parades are programmes. For example, during Christmas time, there is normally a Christmas parade and a Disney stars parade - both are completely different, and very worth watching with your little ones! A show that is not to be missed is Disney Illuminations where, at park closing hours, much loved characters are projected onto the Sleeping Beauty Castle, alongside well known Disney music and water effects. It really is the perfect way to end a day in the parks! 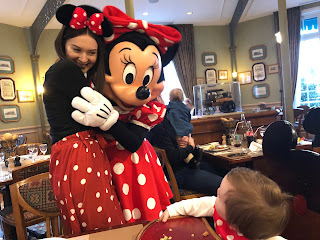 Whether you go and line up for a character or book yourself into a character meal, where the characters will come to your table whilst you're eating, character encounters are not to be missed. I was somewhat dubious as to whether Edith, being one at the time, would be too scared to enjoy the characters, however, she absolutely loved it and cried when they went away (I'd say that was a win!). 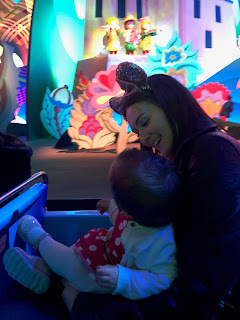 Minnie Mouse is (obviously) my favourite character to meet. Every. Single. Time. Regardless of how you decide to meet the characters, they always take time with each guest and interact really well. Meeting the Disney characters is actually one of my favourite things to do at any Disney park because it's always such a unique experience, even if you have met that character before! 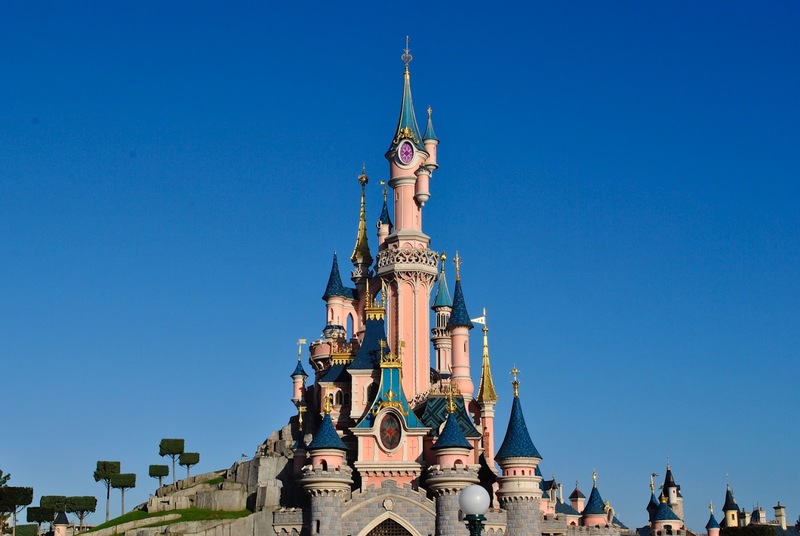 Do you have any favourite family things to do at Disneyland Paris?